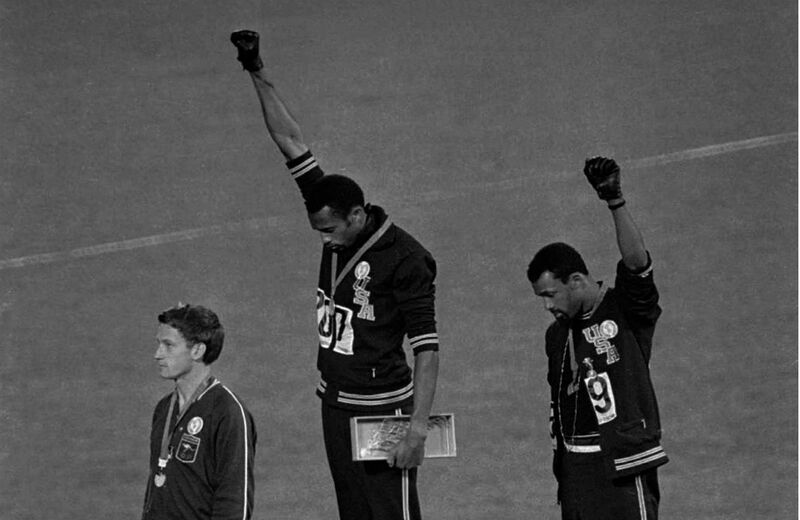 The NFL may say officially that “Redskins” “is not a slur,” but 1968 bronze medalist and medal-stand protester John Carlos, a man who has had more than a few invectives tossed his way over the years, disagrees. Color me utterly unsurprised that Dr. Carlos called on Dan Snyder to change Washington’s football team name. For tribes or reservations to say they’re uncomfortable with you using that name, and then have players say they are just as uncomfortable, and the owner stands there, saying he’ll never change the name? How do you get away with that?…. To this day, there has been no real negotiation or real listening and understanding that I know of. In Portland, I remember Dr. Carlos sitting down with a 10-year-old girl of Native American origin and telling her he “had some of that blood” in him as well. He told her to be proud, although we soon saw that we didn’t need to tell her much. This same girl heard I was from Washington, DC, and immediately turned her attention to me. She asked me about why my city had a football team with that name. Pulling up the team logo on her mom’s laptop she pointed at the iconic profile and asked, “Did someone chop off his head? Who did that?” She didn’t feel the “pride” that team owner Dan Snyder always references. She felt disturbed and then angry. I wonder if Dr. Carlos was remembering that girl when he spoke about why he thinks the team should change the name. Possibly yes, probably not. But his actions as a tribune of her feelings should be noted. They should truly shame Dan Snyder and Bruce Allen. I would dare them to call this girl a Redskin to her face, but I know that they don’t have the guts.